As I was uploading a photo (for another thread) of a local bread shop (and I use the term loosely) I stopped at yesterday, it occurred to me that there are a few food shops around here that I love to support because they’re small and unique and also because to me, they represent a time when life was slower, simpler and easier. I thought it might be interesting to hear from other Onions (is that what we’re called here?) who have places they enjoy and appreciate in their locales. 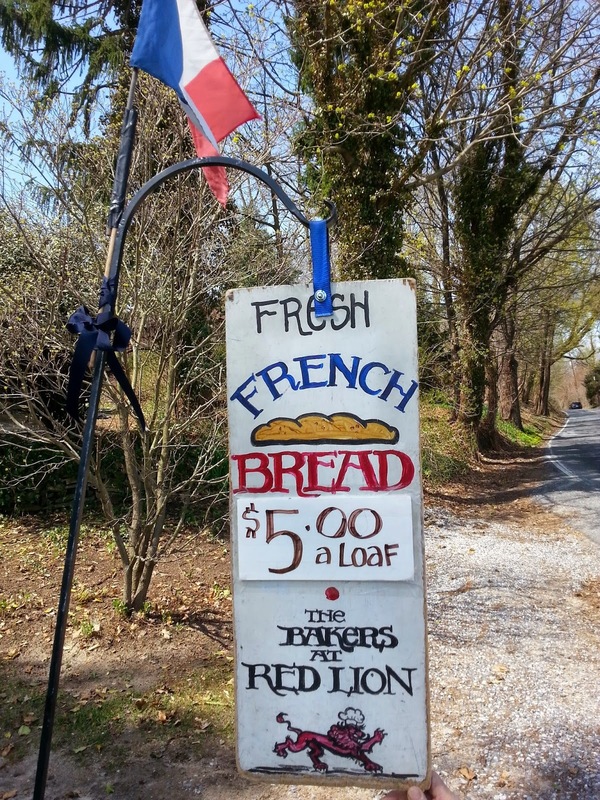 The first place in my neighborhood that comes to mind is the Bakers at Red Lion. Two women bake French bread a few days a week in the basement of their home. They put the warm bread and rolls out on trays, put up a price list, and hang a French flag outside the entrance, indicating there’s bread for sale. Customers let themselves in, help themselves to whatever they’d like, and leave their payment in a coffee can. When the bread is gone for the day, the flag is taken down and the door is locked. 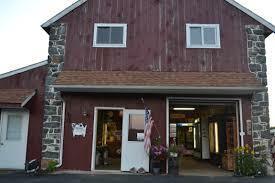 Another nearby place I appreciate is the small shop at Bailys Dairy at Pocopson Meadow Farm. It’s actually close enough to where I live that I can hear the cows mooing when I’m outside my house. Milk, buttermilk, cream and butter are from their own cows; eggs are from a nearby farm. Sometimes there’s produce, sometimes there are baked goods, or honey or cheese, all from nearby providers. 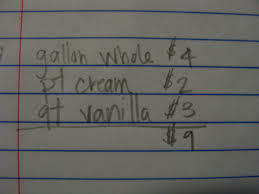 The shop is rarely staffed; there’s a notebook on the counter where you write down what you’re buying and the price. Leave your payment in the metal box on the counter. Another place I love (and I’ll stop here) is quite different from these two, but still very special. Talula’s Table is a place that has received wide acclaim and been written about in numerous newspapers and national magazines. 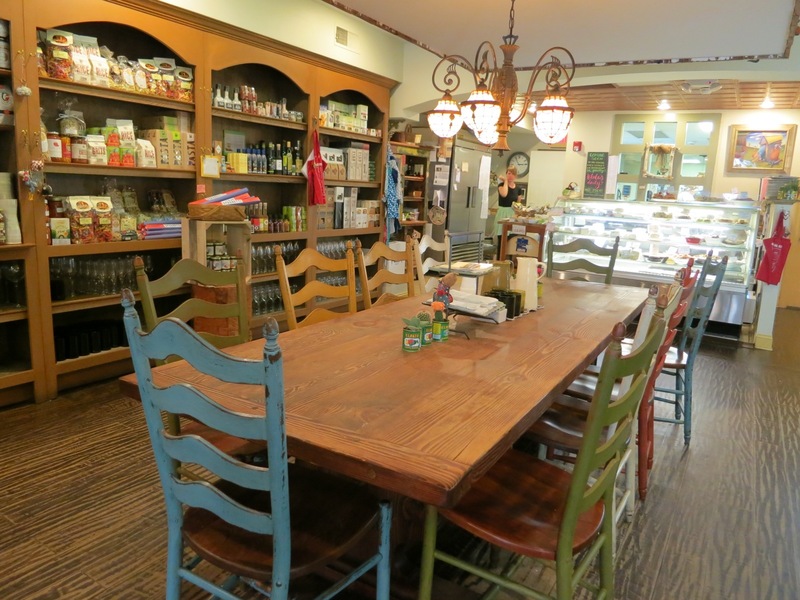 It’s a gourmet grocery/cafe by day and a restaurant by night, where reservations at their single farm table and chef’s table must be made a year in advance. Yet, despite the publicity and kudos bestowed upon this place and its owner, Aimee Olexy, it’s a friendly, neighborhood cafe where one can meet up with friends for a really great cup of coffee or cappucino in the morning, a salad or a store-made bowl of soup for lunch, or bring in your own bottle of wine and get a nicely-paired cheese platter with accompaniments. So, what are some of the special places in your area that you appreciate and enjoy supporting? Well, there’s the Creamery, of course - an alumni attraction of mediocre ice cream and idiotic “rules”. I prefer Meyer’s Dairy, where one can get excellent fresh milk & damn fine shakes. Gemelli’s is a really great artisanal baker, and they’ve started selling some of their breads at a local supermarket chain (which is great, because their opening hours are pretty random). They also used to make the best freaking pizza in town, but no more. Sadz. $5 a loaf? I hope the bread is really good at that price. It always amazes me how hard it is to get a loaf of good reasonably priced bread in the U.S. I go to France fairly often and I envy their ability to pick up a great baguette for two euro in nearly every neighborhood. $5 is pretty standard at our local bakery, too. Interesting topic Cindy. I have a few as well . . . I believe I am only a county or two away from you. There’s a local farm I love for corn, beans, etc in the summer. Whatever produce has been picked that morning is set out with prices. You leave the money in a little lock box on the table. There’s a note directing you to their front door if you need change, but I just round up to make it easy on everybody. On the same road is Necessity Farms, where you can watch the animals roam the fields and then go into the shop and get your beef, pork, chicken, etc. There are also two dairies in the area (Freddy Hill and Merrymead) that have fabulous ice cream as well as milk, cream, etc. Merrymead also has an attached produce stand–the produce is brought in from Lancaster County, though; but it’s still good. I’m sure there are more . . . like the little chocolate shop on Morris Rd . . . but I don’t want to get too carried away. Oh wait . . . one more . Alice’s Bakery in North Wales (and now Ambler too). 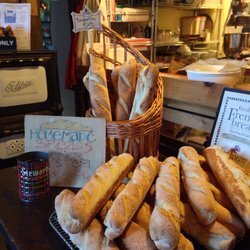 The best baguette this side of Paris and an insanely good gouda bread. $5 a loaf? I hope the bread is really good at that price. The bread is definitely good. Maybe not the best bread I’ve ever had, but it’s freshly baked and hand made. I think it’s well worth $5/loaf. Maybe the difference is the volume of sales but I’m saddened by the fact that one must pay $5 for a loaf of freshly made bread in the US where I can pick up at least 2 baguettes for the same price in France. But getting back to the topic of the thread, it’s not a shop but the Sansone Farm in Branford CT is my go to place for produce. I went a couple of weeks ago when they were clearing out the last of the tomatoes for canning. Cheap as could be and bursting with late summer flavor. I also find it sad that I can get a 1.5 oz glass of trout caviar in German supermarkets for roughly $10, yet here I can only get it in specialty stores for 3 times the price. You pay for what you like where you live, not where you’d like to live.